OMAHA, Neb. — Caring.com, a trusted resource for families to find in-home care for their senior loved ones, released its annual “Caring Stars of 2019” list, a reliable industry source of information that showcases the best senior care around the country every year. The list is based on consumer ratings and reviews and features the top in-home care agencies in the United States. This year, Caring.com is also highlighting those organizations that made the “Caring Super Stars of 2019” list. These are businesses that received the Caring Stars award in 2017, 2018 and 2019. Right at Home, one of the nation’s leading providers of home care for seniors and adults with disabilities, is thrilled to announce that of the 446 in-home care agencies that received the Caring Stars of 2019 award, 141 of them are Right at Home agencies. Also, 50 in-home care agencies received the Caring Super Stars of 2019 award, and of those, 22 are Right at Home agencies, more than any other company. This makes Right at Home No. 1 in the nation. In-home care agencies that made the 2019 Caring Stars list had to meet exceptional criteria. They must have had 10 or more consumer reviews on their Caring.com listing by the qualification deadline of Oct. 15, 2018, and must have had an overall average rating of 4.5 stars or higher on a scale of 1 to 5. Old reviews were not allowed to be part of the qualifying criteria. The in-home care agencies had to have three or more reviews on their Caring.com listing dated between Oct. 15, 2017, and Oct. 15, 2018. At least one of those reviews needed to have a five-star rating, and at least one of those reviews had to have been posted in 2018. Significantly, in order to qualify, brands also had to respond to all negative reviews on their listing. Negative reviews counted as those that only had one or two stars. The remarkable impact Right at Home makes is provided through its proprietary care delivery system, called RightCare. RightCare is “the Right People doing the Right Things the Right Way for the Right Reason.” Right at Home is committed to providing an individualized RightCare experience for every client to improve their quality of life, and accolades like these give credence to the exceptional work Right at Home franchisees and their staffs and caregivers are doing every day to serve the needs of seniors and adults with disabilities. The recent Caring Stars awards top off a significant year in 2018 for the Right at Home brand. Right at Home opened a conversion program for independent home care businesses. 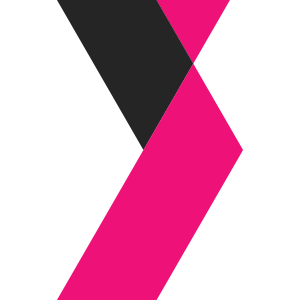 The brand also launched its inaugural Professional Caregivers Week in November to showcase their appreciation for caregivers and bring attention to the profession. With more than 500 locations in over 40 states and eight countries, Right at Home is positioned to continue dominating the in-home senior care market in 2019. Founded in 1995, Right at Home offers in-home companionship and personal care and assistance to seniors and adults with a disability who want to continue to live independently. 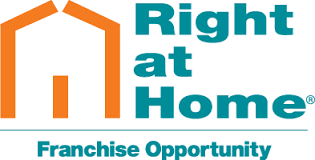 Local Right at Home offices are independently owned and operated and directly employ and supervise all caregiving staff, each of whom is thoroughly screened, trained, and bonded/insured prior to entering a client’s home. Right at Home’s global office is based in Omaha, Nebraska, with more than 500 franchise locations in the U.S. and seven other countries. Right at Home is the highest-ranked senior care franchise opportunity on Entrepreneur magazine’s Franchise 500 List in 2018, coming in at No. 49 overall. In 2018, Forbes Magazine ranked Right at Home the No. 1 franchise to own under $150,000. With three million unique visitors to its website monthly, Caring.com is a leading senior care resource for family caregivers seeking information and support as they care for aging parents, spouses, and other loved ones. Headquartered in San Mateo, CA, Caring.com provides helpful caregiving content, online support groups, and a comprehensive Senior Care Directory for the United States, with more than 150,000 consumer ratings and reviews and a toll-free senior living referral line at (800) 325-8591. Connect with Caring.com on Facebook, Twitter, Google+, Pinterest, LinkedIn, and/or YouTube. MCHENRY, Ill. — As the year comes to a close, businesses nationwide are looking for ways to trim down spending –deciphering how to decrease overhead expenses and increase the bottom line to prepare for 2019. In hopes of helping small businesses efficiently cut costs, Cartridge World, a global franchise network and recognized leader in printers, printer services and cartridges, is offering their top insights on simple ways companies can invest in the right products for their business and reduce wasteful spending. 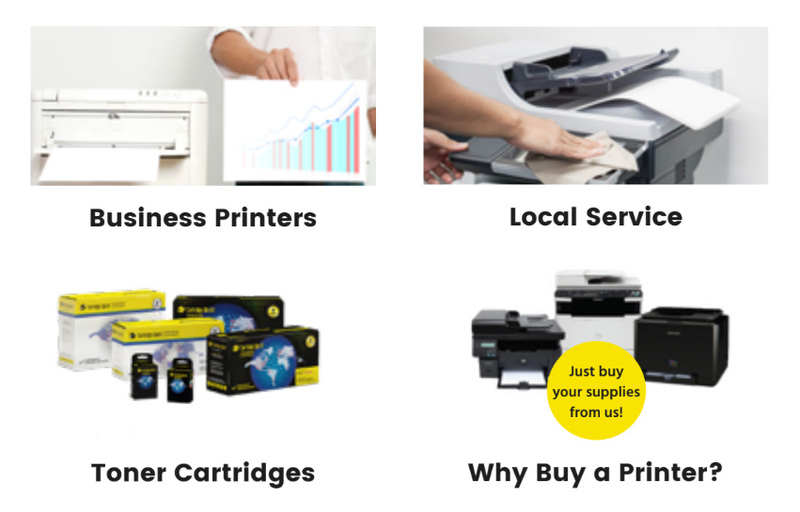 Whether it be investing in a multi-functional printer or implementing a printing policy, Cartridge World’s network of more than 300 stores, recognized as the local experts, are here to help. By taking the time to understand each customer’s specific needs, Cartridge World strives to help consumers save money while investing in dependable products that won’t hike spending in the long run. Invest in a Multi-Function Printer – Most small businesses are doing more than just printing. Scanning, copying and faxing are also crucial aspects of running a business and there is no need to have three different machines to handle each of these tasks. Invest in a multi-function printer to increase efficiency while decreasing the cost of maintenance for multiple devices. Explore Money-Saving Options – Small businesses can further explore budget-saving printer options such as Cartridge World’s “Why Buy A Printer?” program to ensure quality equipment while not breaking the bank. This program allows for companies to receive a business class printer(s) and multi-function devices with all printer maintenance and on-site service included at no additional cost in exchange for the purchasing of toner cartridges at Cartridge World. Understand Your Printing Needs – Matching the right printer to a business’s needs is also essential in reducing print-related expenses. Inkjet printers are best for low-volume and color printing. However, laser printers are generally less expensive to operate – as much as 70 percent less – and can print at higher volumes. Create an Office Print Policy – Office print policies can help employees become more aware of their printing habits. The best print policies will create user guidelines to print less and spend less where possible. This can include anything from encouraging double-sided printing to promoting digital copies over paper copies. Don’t Overpay for Delivery – Often what may appear to be a lower-priced printer cartridge can end up being more expensive after inflated delivery fees. Make sure you aren’t overpaying for delivery and that cartridges will still be reasonably-priced even after delivery. Cartridge World is the global leader in high-quality cartridges, printers, printer services and advice for both the home and office customer. Stores offer customers a tremendous cost-saving alternative to printing, offering a 30-percent discount over full-priced OEM cartridges and a 100-percent satisfaction guarantee. Cartridge World has more than 600 franchised retail locations in over 30 countries. Cartridge World was recently ranked on Entrepreneur Magazine’s 2016 Franchise 500 list and No. 78 on Franchise Direct’s list of the Top 100 Global Franchises and listed by the Silicon Review as one of the ’50 Most Admired Companies’ of 2016.